Playboys has been around since March 2013 thanks to their lead singer Kuba Urbański, who is also the author of all the lyrics and compositions of the band. Playboys also include a drummer and a guitarist. 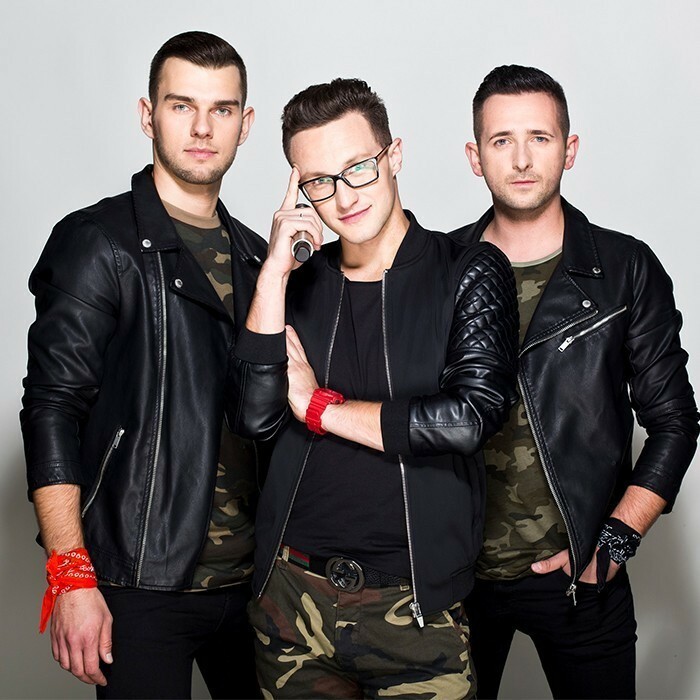 Their video clip debut, “Nasza Noc” (Our Night) has already reached 3 million views on YouTube, and thanks to this song Playboys got a chance to perform at the biggest disco polo festival in Poland – The Kobylnica Festival. “Nasza Noc” was an inspiration for making yet another popular hit song “Myślę o Tobie” (I’m Thinking of You). After the success of the two debut singles, the band released “Ile czekać mam” (How Long Should I Wait) which is a very interesting composition with an original guitar solo. Yet another big hit is “Lejde” with over 5 million views on YouTube. The band is invited to Disco Galas all over Poland, constantly giving concerts and working on their new music. They have won awards for hits such as “Szał Sceniczny” (Stage Madness), lots of Popularity Awards as well as individual prizes.